VoIP (voice over Internet protocol) phone systems harness the power of technology in a cloud-based communication solution delivered over the internet. Easily scaled as your organization grows, Encore’s VoIP phones offer a feature-rich, cost-effective alternative to legacy systems through predictable pricing and unmatched support. From one extension to thousands, organizations of all sizes are realizing the benefits of VoIP phone systems. Features like seamless call routing, virtual receptionist, ease in moving and adding lines and collaboration tools like conferencing deliver convenience at the touch of a button. With Encore, the features don’t end with the system. The power of our VoIP phone service is enhanced by our dedicated voice support team who make onboarding and transitioning easy with personal support you can count on. Get in touch to schedule a meeting with one of our Solution Consultants to assess and recommend a solution to meet your needs. During this assessment we will get to know you and organization to design a solution that is appropriate for today and the future. Holston United Methodist Home for Children migrated from a premise-based phone system with incumbent carrier to a cloud phone system with Encore Technology Group. Our decision to migrate away from a premised based solution is saving Holston approximately $40,000 annually! Encore has been a great partner for us and I highly recommend them. 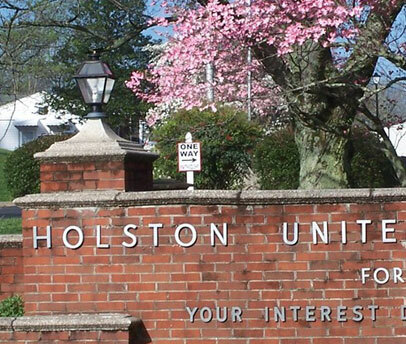 This Cloud based phone solution enabled Holston United Methodist Home for Children to incorporate savings along with updating their Telephony platform with a modern feature set. Encore believes that providing excellent customer service along with quality products, we enable customer satisfaction to shine.